Czech history does not appear overly dramatic to an outsider. More or less since their arrival in the area in the sixth century, Czechs have inhabited almost the same territory, demarcated by the mountains in the West and the river Morava and the western edge of the arc of the Carpathians in the East. Although it has been extinct for the past twenty-five years, we still feel the need to celebrate the centenary of Czechoslovakia, a country we still regard as our own and whose flag and the first verse of whose national anthem we have retained. As we never tire of mentioning, our relations with Slovakia and the Slovaks have no parallel in the world. If any more proof were needed, the current Czech Prime Minister is the richest Slovak, Andrej Babiš, a man with dual Czech and Slovak citizenship, whose language, especially when he is angry, sounds more like Slovak than Czech. We left Austria-Hungary one hundred years ago to create our nation-state into which we invited the Slovaks to form part of the ruling nation. We also included, despite their resistance, the Slovak Hungarians and the Czech Germans, and also, somewhat unwittingly, the Transcarpathian Ukrainians. We split from the Slovaks for good after 75 years, expelled the Czech Germans after 27 years, leaving the Transylvanian Germans to the mercies of Stalin, while retaining the majority of the Slovak Hungarians (because there were not enough Slovaks in Hungary for a population exchange). We allowed the Nazis to murder the Czech Jews and the Czech Roma without doing anything to stop them. One of the major problems that have plagued Bohemia and the Czechs has been their inability to pass beyond the border mountains and view the history of their country from above. 86 years after splitting from multinational Austria-Hungary, as the solitary Czech Republic, we joined the even more multinational European Union. And now, less than two decades later, we are beginning to view it in negative terms, just as interwar propaganda in Czechoslovakia depicted the former monarchy: as a “prison of peoples”. A hundred years later, history seems to be coming full circle. One of the major problems that has plagued Bohemia and the Czechs has been their inability to pass beyond the border mountains and view the history of their country, particularly modern history, from above, at least from a height sufficient to surmount the peaks of the Krkonoše, the Bohemian Forest and the Beskid Mountains, in order to place our own fate in a broad- er framework, if not global then European, or at least Central European. There are not many in the Czech Republic, even a hundred years later, capable of taking on this task, and even fewer abroad, given the small size of this ten-million-strong nation with its fairly undramatic fate. The French political scientist Jacques Rupnik (born 1950), who is half-French and half-Slovene and who spent the first fifteen years of his life in Czechoslovakia, is one of a handful of people who have the required talent and knowledge. Rupnik, an adviser to the last President of Czechoslovakia and first Czech President Václav Havel, is a political science graduate of the French Sorbonne and American Harvard and has taught for many years at the Institute for Political Studies in Paris, one of the best higher education institutions of its kind in the world. Rupnik is a worthy successor to French and British academics such as R. W. Seton-Watson and Ernest Denis, who were involved in the birth of Czechoslovakia a hundred years ago. During World War I and immediately afterwards, they also provided Tomáš Garrigue Masaryk, the first President of Czechoslovakia, as well as his chief diplomat and later successor Edvard Beneš and the Slovak-born French officer Milan Rastislav Štefánik with significant assistance in making Czechoslovakia become a reality. This collection of Rupnik’s essays, articles and interviews from the past thirty years is an ideal guide to the Czech century in this, the one hundredth anniversary year of the establishment of Czechoslovakia. Few Western specialists, conversant with the details of the Czech situation, are as qualified as Rupnik to place this century and its crucial chapters in the context of world history and, moreover, to do so from a French perspective, which is virtually unique, given the scarcity of present-day Czech-French contacts. This is why Jacques Rupnik can provide surprises even when covering topics as hackneyed as that cliché beloved of Czech journalists and historians, the “fateful eights”, i.e. the years 1918 (the creation of Czechoslovakia), 1938 (the Munich Agreement), 1948 (the Communist coup), 1968 (the August invasion by the Warsaw Pact armies) and 1989, which according to Rupnik ought to be regarded as a displaced year 1988 which is when, he claims, the Velvet Revolution would have happened but for “Gorbachev’s procrastination”. What makes Rupnik’s reflections especially valuable is the fact that he is able to put a date as crucial for the Czechs as 21 August 1968 into the global context. Rupnik’s sense of belonging comes to the fore in several places, for example, in the transcript of a polemic he conducted in the late 1980s with the Hungarian-French historian François Fejtő on the very meaning of the creation of Czechoslovakia. Fejtő had just published his book “Requiem for a Defunct Empire” which defended Austria-Hungary as a structure capable of being reformed, as a Central Europe that had ceased to exist in the course of the century that followed. As a student of Fejtő’s, Rupnik found himself in a difficult position, since he shared his teacher’s “grief over the decline of Central Europe as the antithesis of Russia and the West” while opposing his vision of the collapse of the monarchy as a “plot by Freemasons, Czechs, as well as Beneš and Masaryk”. In his view the main role was played by the Great War which “set into motion events that not even the greatest Czech nationalists could have dreamt of before”. “The birth of a Central Europe composed of independent states was inevitable.” At the same time, Rupnik admits, and not merely out of respect for his mentor, that the successor states of Austria-Hungary (including Czechoslovakia) would have been unable to safeguard their independence without the support of Great Britain and France. “For this reason, the Austrian empire had its justification,” Rupnik said in 1988, adding that he was speaking not of the monarchy as such but of a supranational state, a federal structure. Rather than lamenting the monarchy, however, what Rupnik gives us is a systematic exploration of how the Czechs, Austria’s mainstay, turned into builders of their own state and what that state was like. Putting events into a European, and often specifically French context, and drawing comparisons with it, is something that is almost unheard of in the discourse of Czech historical and political science. If we ever compare ourselves to anyone it is the Austrians, Germans, Poles, Slovaks or Russians. Rupnik is one of the last great thinkers who reminds us, through his work and his sheer presence, of the fact that it was primarily under French, rather than American, patronage that Czechoslovakia was established a hundred years ago, the US has adopted an isolationist stance soon after the Great War. Although Masaryk’s Czechoslovakia borrowed a great deal from her main ally, the American democracy, it was France that was the guarantor of its existence and state structure. Rupnik calls this fact to mind at several points in the book, for example in an essay comparing Czech and Slovak nationalism, and on the very different nature of the year 1968 in Czechoslovakia and France. In his essay “Paris-Prague: reflections on the restoration and decline of a privileged relationship” Rupnik describes the enormous role Paris and French culture played in the pre-war Republic, while voicing scepticism regarding the future. This, as he rightly notes, is partly due to the fact that “the Czech elites regard France as a country in decline”. France, on the other hand, sees the Czech Republic as “a small prosperous country that is far too satisfied with itself,” as he aptly points out. The Prague Spring and Charta 77 – two Czech contributions to the world Rupnik’s main topic, however, is the nature of Czechoslovak Communism. This, after all, is also the subject of one of Rupnik’s major works, The History of the Communist Party of Czechoslovakia. Armed with detailed knowledge of the evolution of Czech Communism, Rupnik addresses a difficult question to those Czechs who regard themselves as “victims” of the Stalinist Soviet Union. “In 1948 a sizeable section of Czech intellectuals supported the communist coup,” writes Rupnik, pointing out that the Communist Party of Czechoslovakia (KSČ) was the only one in post-war Eastern Europe to win an (almost) free and democratic election in 1946. 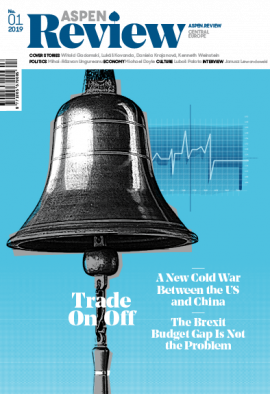 Naturally, he cannot avoid mentioning that the Communist Party of France scored a similar success after the war – albeit with the opposite result. While in France it proved possible to outmaneuver the Communists in the government and the country remained a strong democracy, 1948 saw the opposite outcome in Czechoslovakia. In Rupnik’s view, what played a considerable role in this was the Munich Agreement of 1938, when France and Britain signed an agreement with Nazi Germany and Fascist Italy, whereby Czechoslovakia ceded a quarter of the Czech part of its territory to Berlin, and subsequently the south of Slovakia and Transcarpathian Ruthenia to Hungary. Although Masaryk’s Czechoslovakia borrowed a great deal from her main ally, the American democracy, it was France that was the guarantor of its existence and state structure. Rupnik calls this fact to mind. Rupnik also notes the unfortunate and active involvement of many Czech intellectuals in Czech Stalinism, as well as the opposite role they played in the “glorious hour of Czech revisionism”, in 1968. In the essay “The roots of Czech Stalinism” he goes on to show that this was not merely a Soviet import, but a system actively developed by Czech elites. He recalls another painful Czech failure in his essay on 1956, when the Hungarians fought heroically against Soviet tanks. Unlike Poland, where there was a massive show of sympathy with Hungary, “the Czechs didn’t lift a finger,” in the words of Hungarian writer György Konrád. And Czech Stalinism lasted for many years to come. Rupnik uses the situation in 1956 in a brutally defeated Hungary under János Kádár as a mirror in which to view a similar invasion, in 1968, that humiliated Czechoslovakia. The “normalized” country under Gustáv Husák does not come out well in this comparison. In another essay, Rupnik also debunks the myth of the hero of the Prague Spring, the reformist Communist party leader Alexander Dubček, whom he refers to, quite rightly, as “the hero and the normaliser”. Following the August 1968 invasion, Dubček participated in the suppression of the democratic achievements of the Prague Spring and the reinstatement of a harsh Communist dictatorship, even if he himself ended up a victim of the normalization purges which pushed him to the margins of society. In contrast to these critical views, Rupnik values the Charta 77 dissident movement as fundamental not only in the Czechoslovak but also in the European and global context, including the key role played by the playwright and President-to-be Václav Havel. He also takes the side of Charta 77 in the dispute in 2000 with Havel’s successor as President, Václav Klaus, who ascribed the key role in toppling the Communist regime to “greengrocers” and the “silent majority” of pub drinkers rather than to Charta 77 and the active opponents of the regime. Rupnik, in contrast, views Charta 77 and Havel’s works, such as “The Power of the Powerless”, along with the ideas of the Prague Spring of 1968 and “socialism with a human face”, as one of the few Czech contributions to the Western and, indeed, global debate on democracy and human rights. Rupnik’s essays reveal him to be not just an admirer of, but a great expert on, Havel, whom he does not hesitate to describe, in his encomium of 2009, as “the great European of our times”. Rupnik also asks troubling questions relating to the recent past, the present and the future of the Czechs and the Czech Republic. In his interpretation of the splitting up of Czechoslovakia, he seems to be slightly more on the side of the Czechs, presenting them as the more democratic and pro-Western part of the federation. Rupnik values the Charta 77 dissident movement as fundamental not only in the Czechoslovak but also in the European and global context. He expresses grave concern, however, with regard to the Czech attitude to the European Union, where the Czechs have proved to be a rather destructive force. This is something he had been warning about well before the EU expansion to the east and his fears have been confirmed by the current state of affairs in nearly all of the four Visegrad countries. Rupnik sees the greatest danger in resurgent nationalism, describing it as the “main bonding element of anti-liberal populism in the Visegrad countries”. Rupnik does not, however, regard the “illiberalism” of Viktor Orbán as a specifically “Visegrad” disease, but as a broader phenomenon that has manifested itself widely in Europe, including in its western half. What sometimes works to the advantage of Rupnik’s book’s, but also often to its disadvantage, is the fact that, rather than being a unified work, it is a collection of essays and pieces from the last few decades. Despite the editors’ efforts, certain motifs crop up repeatedly, while new research, over the past ten years, has progressed, casting doubt over certain details of Rupnik’s interpretation of the period. 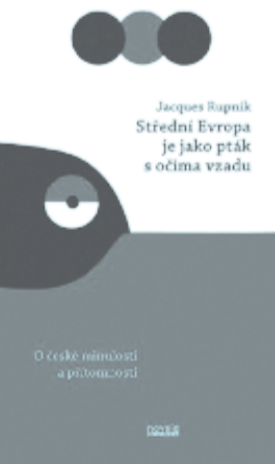 Czechoslovakia’s centenary would have deserved a whole new book by Jacques Rupnik. Given his extraordinary standing, we can only hope that he will do so sometime soon. His book Central Europe Is Like Bird With Its Eyes at the Back of Its Head suggests that it would make a great read. Rupnik sees the greatest danger in resurgent nationalism, describing it as the “main bonding element of anti-liberal populism in the Visegrad countries”. The Czech Republic, as well as the world around it, needs Rupnik’s perspective and detached view. Today, as the value of fostering common ties not just among the Czechs, but throughout Central Europe and the democratic West, in the EU and in NATO, becomes increasingly apparent, it is needed more than at any time over the thirty years that have passed since the fall of Communism in Central Europe.